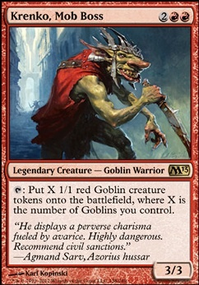 Whenever a nontoken creature you control attacks, put a 1/1 red goblin creature token onto the battlefield tapped and attacking. 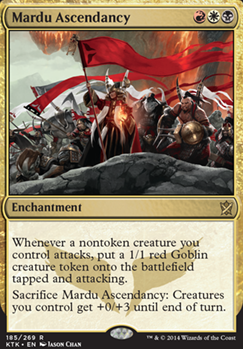 Sacrifice Mardu Ascendancy: Creatures you control get +0/+3 until end of turn. Great deck! 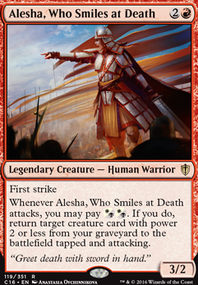 A Mardu Ascendancy could work really well in this, if you added a splash of white. Rather than 2x Mardu Ascendancy I am going to swap one out for 1x Raid Bombardment and test it that way instead. I tried this a long time ago with decent performance, but I had just added red to the deck and it wasn't running smoothly at all, and I didn't have the consistency in my creatures that I do now. I also ran it in place of Ascendancy, and as a 3-of, and I think all of those were bad ideas. The thought is that, even with lots of chump blockers on the opponent's side, I'm still getting a good amount of damage through. It is non-combat damage so a lot of Fogs don't effect it at all, and Leyline of Sanctity doesn't matter because the effect isn't targetting. It's also much, much easier to hardcast than Ascendancy is. Hopefully the playtesting goes well! I'm still relatively new to Modern, I've only been playing for about 5 months, so I have a lot to learn about maximizing my Game 1 setup, instead of having my G1 mainboard be a mix of answers to a bunch of different decks. Obelisk Spider for instance I run in the MB, but it could probably be in the SB instead for the Humans and Spirit matchups. That being said, is there a better MB creature for that spot? Maybe Lightning Greaves even? 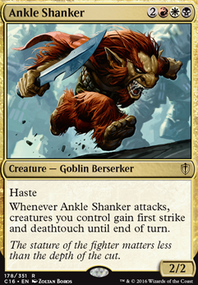 It may even get people to mistakenly sideboard in artifact hate on G2, where I can SB it out and only have Spellskite left for it to hit. Still unsure about how the Vexing Shusher and Sylvok Replica will play out. The Shusher may be turned into another set of Lightning Greaves for the SB, and the Sylvok might be redundant with the Trophys. Maybe a 4th Leyline to improve the mulligans? 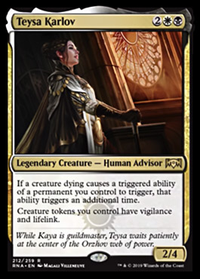 SynergyBuild: Tetsuko as a one-of has really been valuable in my meta, as there are a lot of aggro and token decks that have a lot cheaper chump blockers than I do. He can sit in the deck as long as I want, and if I ever need him I can Eldritch Evolution him off a Dryad Arbor, Birds of Paradise, Treefolk Harbinger, or even a Bloodbraid Elf if I need, and he immediately has an effect even if I'm not swinging with him. It can often make a 2-turn difference on my swings for lethal, with is huge if I am up against flying creatures or tons of tokens. Now whether or not he needs to be Mainboarded is a different story. I honestly can't say for sure. 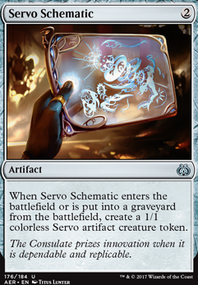 That being said, I agree that I need another Mardu Ascendancy, as having multiple out just makes gets better and better, and I drastically increase the chance to hit one during a draw or Cascade. Testing out a Dryad Arbor in place of a Verdant Catacombs. I have been considering dropping a fetch for a while, and even after the cut I still technically have 10 ways to fetch, even if they are a little convoluted. What I like is that not only he is a surprise blocker/attacker, he can also be Eldritch Evolutioned into a lot of strong creatures in the MB and SB. 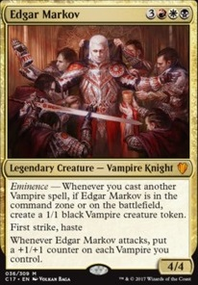 He also procs Mardu Ascendancy, and is hit by Tower Defense (when I run it). All and all, I think it's definitely a card I can work around, and the more targets for Eldritch the better. If I end up liking the Dryad but not the loss of the fetch, I can swap the Dryad for one of the Obelisk Spider instead, which is currently my only flex slot. Testing out a Dryad Arbor in place of a Verdant Catacombs. I have been considering dropping a fetch for a while, and even after the cut I still technically have 10 ways to fetch, even if they are a little convoluted. What I like is that not only he is a surprise blocker/attacker, he can't also be Eldritch Evolutioned into a lot of strong creatures in the MB and SB. 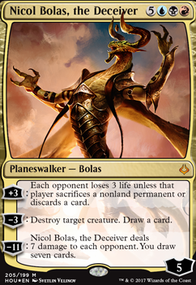 He also procs Mardu Ascendancy, and is hit by Tower Defense (when I run it). All and all, I think it's definitely a card I can work around, and the more targets for Eldritch the better. If I end up liking the Dryad but not the loss of the fetch, I can swap the Dryad for one of the Obelisk Spiders instead, which is currently my only flex slot.